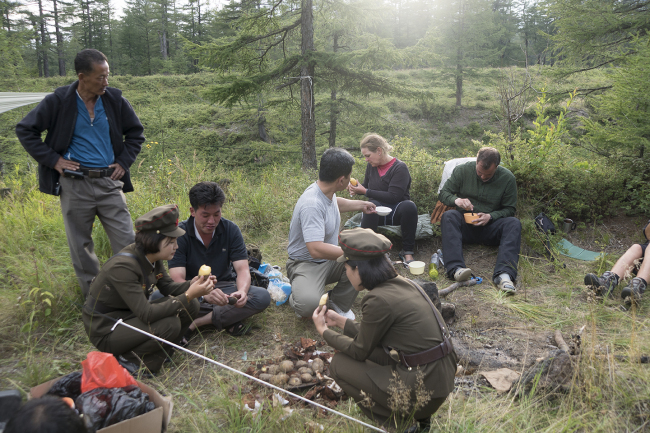 During a trekking tour of North Korea’s Paektusan highlands in August, Roger Shepherd and his team of international travelers hobnobbed with North Korean guides -- hiking, pitching tents, making campfires, cooking and eating together. Two Australian women and two Norwegian men traveled with Shepherd, a Kiwi professional hiker and travel writer, on their maiden trip to the Korean Peninsula’s tallest mountain, 2,750 meters above sea level, considered the sacred cradle of the Korean people since time immemorial. The trip was organized by Hike Korea, a South Korea-based outbound travel company established by Shepherd that offers guided tours of mountainous and rural attractions across the peninsula. 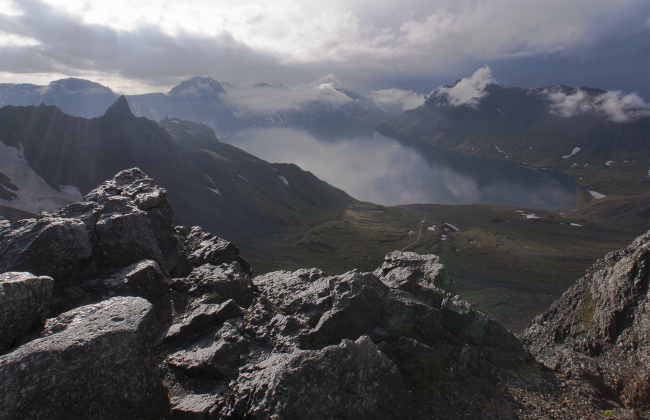 Half of their 13-day expedition saw the group hiking in the highlands in the North’s northernmost region bordering China. 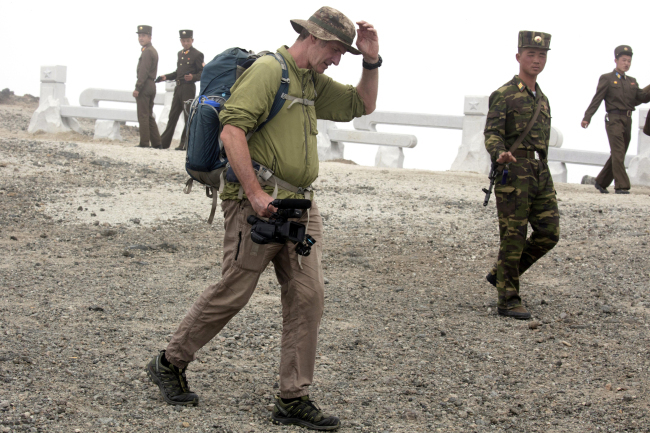 They spent three days sightseeing in Pyongyang, including a day trip to the Demilitarized Zone and Panmunjom. The remaining days were spent exploring what was allowed within the Hermit Kingdom. The group flew from Beijing to Pyongyang, and from Pyongyang to Samjiyon County near Paektusan, a dormant volcano that last erupted in 946. Airfares, accommodations, meals and other expenses were included in the individual fare of roughly 3,500 euros ($4,100). Paektusan is revered by both Koreas for different reasons. South Korea considers it hallowed because it was the birthplace by legend of Dangun, the progenitor of the Korean nation founded some four millennia ago, according to the mythology of Korea. North Korea regards it as sacred as its late founder, Kim Il-sung, set up a military base there for his anti-Japanese, pro-independence guerilla warfare during the 1910-45 colonial rule. The North also claims that late leader Kim Jong-il, the father of the current leader, was born there, although historians say he was born in Vyatskoye, Russia. On Thursday, as a symbol of reconciliation and cooperation, South Korean President Moon Jae-in and North Korean Leader Kim Jong-un rode up the mountain and stood together at Chonji, or Heaven Lake. 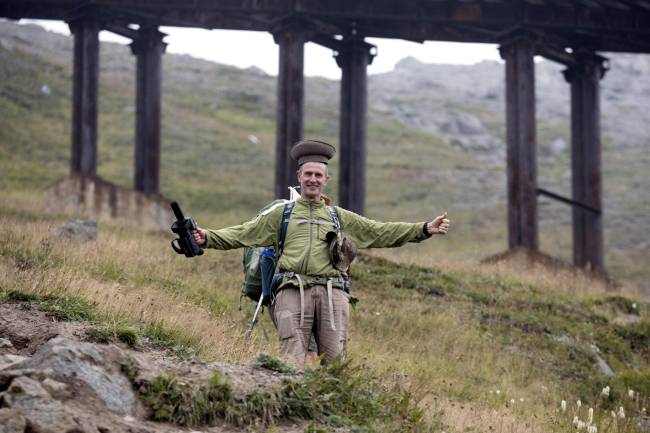 Shepherd moved to South Korea in 2010 after hiking the same mountain range’s trail in 2007, which he wrote about in “The Baekdu Daegan Trail Guide Book,” Romanizing the name in accordance with guidelines used in the South. He has also authored, in English, numerous books and articles with pictures and illustrations detailing his hiking experiences throughout the peninsula. 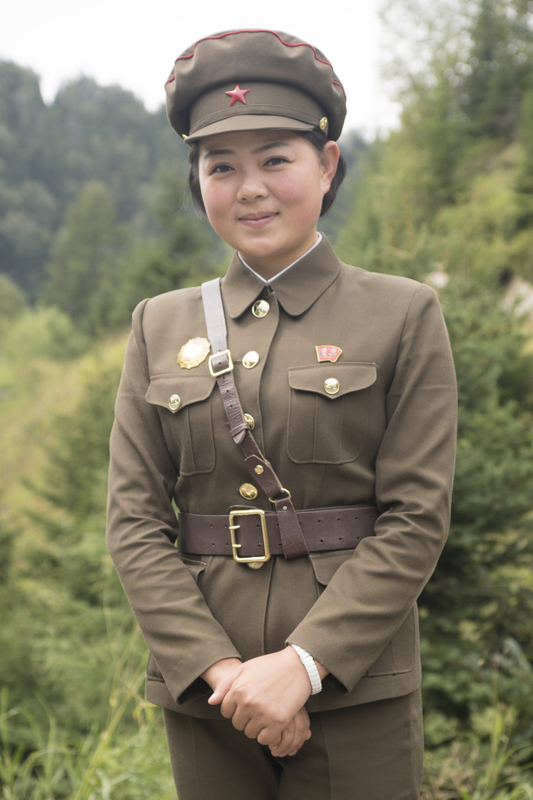 He has traveled to North Korea over a dozen times since 2011, and photographed and documented the mountain range’s highlands. His narratives shed light on the country’s unique mountain culture as well as cross-cultural exchanges between the North and South. Shepherd has also exhibited his works in Pyongyang and Seoul, and currently liaises with relevant ministries of both Koreas. “The circuit covers Paektusan peak itself, followed by a descent into the caldera to taste the waters of Chonji Heavenly Lake, and ascending out to trek on the plateau,” according to Hike Korea. 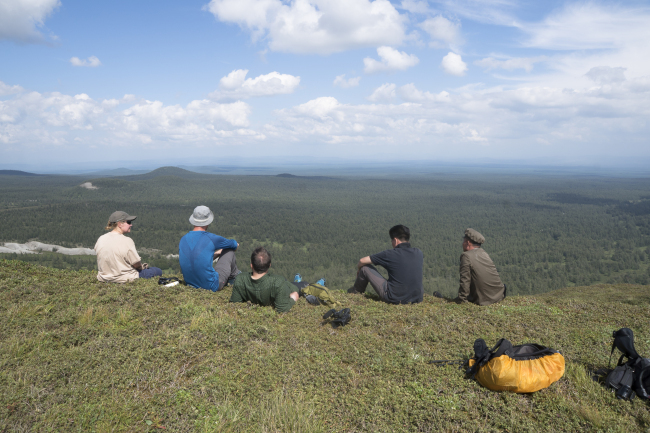 The band of sojourners “moved across the plateau covered with volcanic soils and grasses, before ducking into endless horizons of Larch pine forests and wildflowers.” The region, according to witnesses, is home to wild deer, bears and even tigers and leopards. Shepherd’s group camped out at historic sites designated by the North Korean government and pitched their tents from one spot to another as they traversed through the spectacular scenery. They cooked food delivered to them at each camp, and in front of “open flames of campfire,” sang songs with the North Korean guides. From 1998 through 2008, during the thaw in inter-Korean ties initiated under Seoul’s “Sunshine Policy” of engaging the North, South Koreans were allowed to travel to the North’s Kumgangsan on the east coast, albeit in a highly regulated and surveilled manner, through package tours developed by corporate giant Hyundai Group. The possibility of extending tours to Paektusan and the city of Kaesong was discussed in 2007, but with the killing of a South Korean tourist by North Korean soldiers at Kumgangsan in 2008, all tourism from the South stopped. The death in June last year of Otto Warmbier, an American university student who traveled to North Korea in January 2016 and was returned home in a coma, led to a ban of American travel to the communist country. The adventurer noted that Samjiyon County is under massive renovations -- with new hotels, ski resorts, electrical grids, water pipelines, a train station and airport to be serviceable by 2020. The regime is also actively constructing tourism infrastructure in Wonsan on the east coast and Kumgangsan. “I think we’ll see many tourists going to this region by plane or train to scale Mount Paektusan. Hopefully there might be an opportunity for some of them to go on overnight treks on the plateau too, which is what I plan,” he said.